Dog Park "Through The Target" Dog Hoop Jump - 112 lbs. 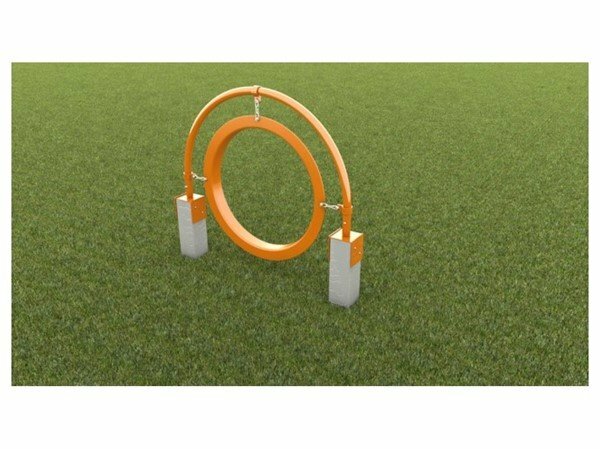 This Dog Park "Through The Target" Dog Hoop Jump is perfect for any Public Dog Park! Features one hoop suspended by chains with a post for your dog to jump through. Made with 100% Recycled UV Stabilized Roto-Mold HDPE Plastic with anti-static inhibitors, this hoop is built to last! With an Easily Cleanable Surface and Backed by a 25-year limited warranty choose this dog hoop for your public dog park.